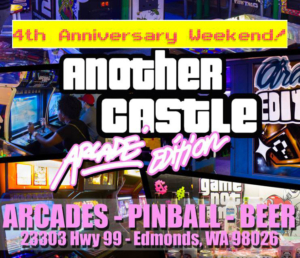 Another Castle Edmonds celebrates the 4th anniversary of their Arcade Edition with a weekend of fun events! Friday: Edmonds Level 4 Weekend – A NIGHT OF ROYALTY. Sunday: Castle Community Day And Anniversary Celebration!! !